For the last nine months you may have noticed fewer posts and recipes on What Kate Baked. 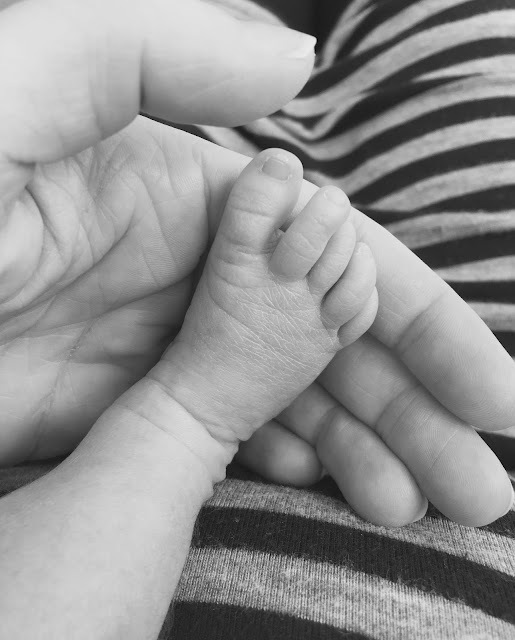 Its been an incredibly special time in our lives as on the 19th July 2015 our perfect little daughter was born. It may be a few weeks before normal service resumes but I'm sure it won't be long before I'm teaching our little bundle of absolute happiness the joy baking brings! Congratulations. Really happy for you. Normal service can wait. Congratulations! What exciting news! Enjoy the first few weeks - it's a roller coaster ride, but so exciting to get to know a new little person. Be kind to yourself and don't rush back to blogging before you're ready. Many congratulations - enjoy this lovely time! Wonderful news, I'm so happy for you! Awwww, how absolutely brilliant. Congratulations.